South Florida’s information technology professionals have a wandering eye, a recent survey indicates. 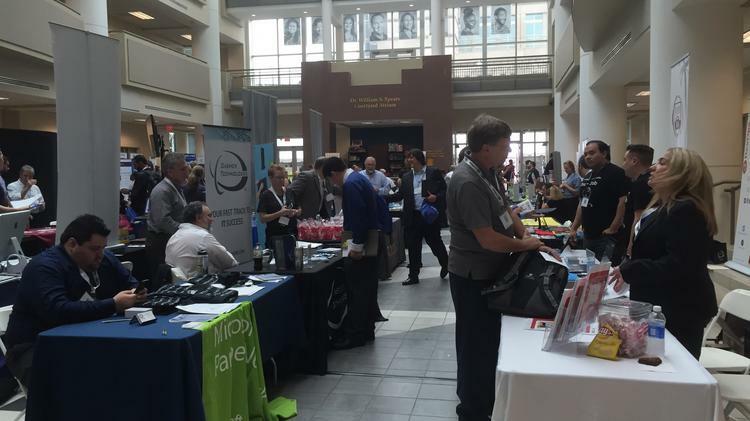 More than 125 region IT employees and 37 employers were surveyed online as part of the upcoming ITPalooza tech event hosted by the South Florida Technology Alliance. Most provided favorable feedback about the health of the local IT industry, but nearly half of the employees indicated they would look beyond South Florida for their next career move. On the other side, 74 percent of employers said they’d be hiring in 2017, with software developers and systems engineers being the two positions poised for the most growth. Universities are a major source of IT talent, with 76 percent of employers reporting “they were producing quality IT candidates.” However, about 52 percent reported “considering” outsourcing some of their operations. Regionally, a majority of higher-education institutions — from Florida International University in Miami to Florida Atlantic University in Boca Raton — offer computer science degree programs. Florida International University’s School of Computing and Information Systems graduates about 300 students each year across seven degree programs, four of which focus on IT. But it struggles to churn out enough graduates at a fast enough pace. “We would love to be able to produce the talent that would satisfy and quench the desire of all companies out there,” said Steven Luis, director of technology and business relations for FIU’s School of Computing and Information Systems. The alternatives to hiring locally — recruiting and outsourcing — are rife with pitfalls, say sources. ITPalooza, taking place Dec. 8 at the Signature Grand in Davie, will work to connect South Florida’s tech professionals and, in part, address the gap between job seekers and employers. More than 2,000 people attended last year’s event, organizers said.